We are a nonprofit organization empowering women to rise above extreme poverty through the creation of dignified economic opportunities. 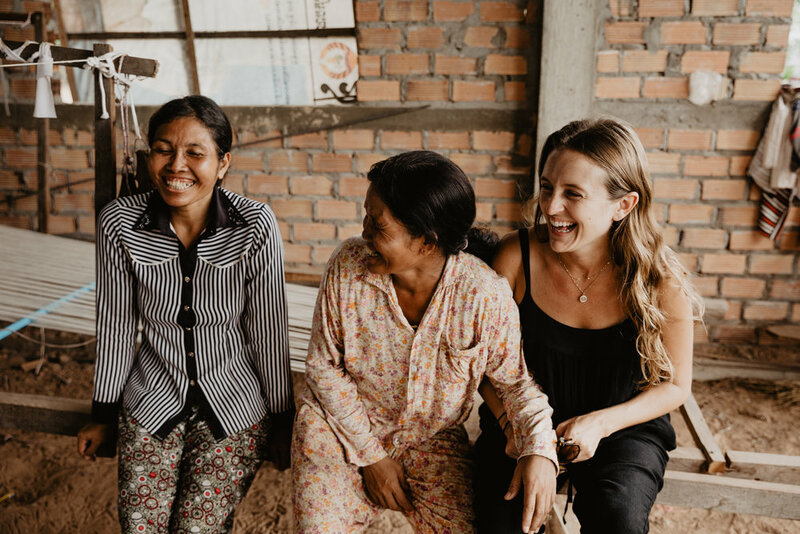 Each handcrafted piece has been infused with the loving, healing, strengthening touch of a woman in Cambodia working towards a bright future for her family and community. By inviting this object into your home, you are becoming a part of its journey. Like the threads of this piece, your journey has now been woven together with the journey of the maker. May these goods serve as reminders that we are all connected, we are all bound together in this tapestry of life. It is up to us to create something beautiful. All we have to do is open our hearts to our Collective Humanity. From the homes of our artisans, to yours. We value equality and opportunity for all. We help 60 female artisans and their 75+ children & dependents access living wages. We believe the most sustainable way to truly empower entire communities to rise above poverty is by providing women with jobs that enable independence and self-reliance. We celebrate technique, tradition, and quality. We support a variety of artisan skill sets. All of the artisans we work with specialize in blending traditional techniques and modern design to bring you products that showcase the rich beauty, history, and culture of their country. We help facilitate a wide variety of community support programs, ranging from alternative healing for women in need of deep healing, to community emergency funding. We believe the more supportive the environment, the more likely the women are to thrive.